Yosemite National Park Mt. 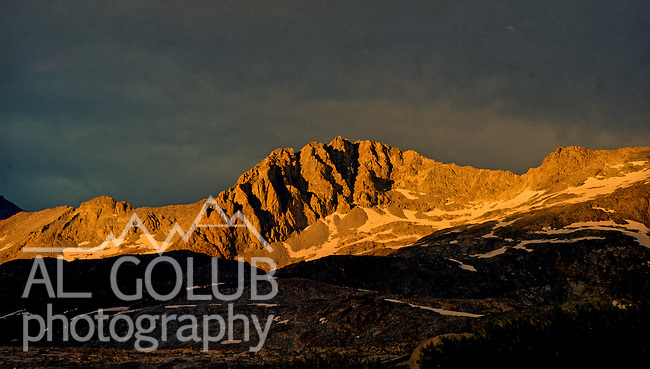 Ansel Adams 11,760'.Alpine Glow on Mt. Ansel Adams from the meadow on the Sierra Club camp site full of Mosquitos. July 1986.Photo by Al GOLUB/Golub Photography..Pentax 6x7 Kodak Vericolor negative film. Yosemite National Park Mt. Ansel Adams 11,760'.Alpine Glow on Mt. Ansel Adams from the meadow on the Sierra Club camp site full of Mosquitos. July 1986.Photo by Al GOLUB/Golub Photography..Pentax 6x7 Kodak Vericolor negative film.